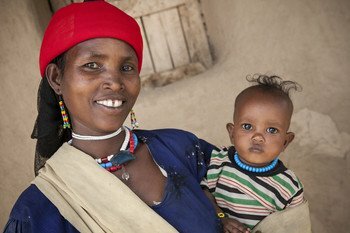 Every parent should be aware of the importance of early childhood development, particularly in the developing world where making a good start in life is essential. “There isn’t a parent in the world who doesn’t want the best for their children,” says Mary Moran, an early childhood development specialist. Illumination of this sort — teaching a mother how to “read” her baby, even at such an early age — goes to the heart of how ChildFund helps parents take hold of their essential role in early childhood development: helping those children achieve their full potential. A healthy, engaged parent-child relationship is essential during the developmental stages of children. A 2011 two-article series in the medical journal The Lancet cites early childhood development as a global concern. According to the series, a child growing up in extreme poverty faces an array of risks to their development: malnutrition, stunted growth, poor brain development, inadequate developmental stimulation, maternal depression, exposure to violence and more. The articles also cite interventions that can protect children from these risks, including breastfeeding, maternal education, good interaction with caregivers and stimulating physical and social environments. “The most powerful thing you can do is teach people child development,” says Moran. It makes an enormous difference when parents understand the importance of early childhood development, how their children acquire the skills they will need to become independent, how the skills build on one another, and what the goals are. And, Moran adds, it’s not necessary to teach early childhood development in great depth; it’s more important that it happens than how it happens. So, in the countries where we work, in addition to supporting health care and nutrition for children, ChildFund trains not only parents but also community volunteers and teachers about the physical, social and cognitive development processes of the earliest years. Early childhood education focuses on how to provide a quality of experience that supports these processes, as well as how to identify delays and barriers to a child’s development. ChildFund builds this wisdom into its early childhood development programs worldwide. Parenting support groups provide opportunities for caregivers to share successes as well as to ask each other, “Isn’t this hard?” Early Childhood Development centers, in addition to providing an environment specifically designed to stimulate children’s development, serve as a shared hub around which community members can network. Trained volunteers teach early childhood development to parents in home visits, helping families build strong relationships and practice new ways of enriching a child’s experience. 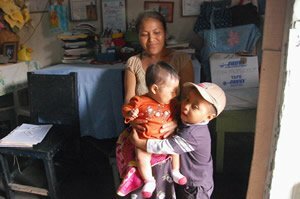 In Honduras, volunteers known as “guide mothers,” like Merlissa, conduct the home visits. One bright afternoon in the village of Lepaterique, Merlissa steps into the cool, dim interior of 3-year-old Milton’s small home. He’s eager for today’s session, but he waits patiently while she exchanges warm greetings with his mother. Finally, Merlissa opens her special bag and begins to pull out some toys and other odds and ends of her trade. To start the session, she lays several feet of twine across the dirt floor of the living room. Well-acquainted with what’s expected, Milton walks the length of the line, down and back, head held high. He’s been practising with his mother, who watches from a corner now, bouncing his baby sister and giving him an encouraging smile. Next, Milton correctly identifies all the animals Merlissa points to in the big picture book she brought. Then he accurately follows some fairly complex instructions on moving a rubber ball and a squeaky toy between a tabletop and shelf underneath. After a few more activities, he shows how well he can feed himself. After a glowing assessment of Milton’s performance, Merlissa begins working with the baby. Lying on her stomach on a blanket, the 4-month-old lifts her head and turns toward the shiny paper Merlissa crackles just out of her view, then follows the sound as Merlissa moves the noise to her other side. Milton’s family may be poor, but the children’s experience is rich. His mother, with the learning and childcare resources she gets through ChildFund, will continue that enrichment. She knows how important she is to her children — and why.